Following on from my last post, I seem to have brought some of you quiet back ground readers out of the woodwork. I find it a little disheartening when some of you comment, stating that you haven’t commented in the past as you are ‘only’ a first aider or ‘just’ a St Johns Ambulance volunteer, or ‘only’ mountain rescue etc etc. This blog is for all, I know sometimes I may get a bit technical and medical, sometimes the subject matter dictates this. Mostly, looking back at my first few months of posting, the content seems much more personal and generic than I would have imagined. 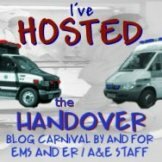 There are plenty of paramedic blogs out there to cater for those who want purely medical information, but hopefully this blog is turning into something a little different. I am like an open book, I certainly wear my emotions on my sleeve. That isn’t a problem for me, I enjoy sharing my experiences. For those of you reading who feel that they cannot contribute in some way, then please reconsider. This blog isn’t intended for only health professionals, it is everyones, and all your thoughts, opinions and comments are welcome (even If you just want to disagree with my point of view). After all, every blogger out there gets the most from their blogs by having some interaction with their readers. If you are a lay person, and you dont fully understand what part of the blog post means or if things are getting a little too medical/technical, then please feel free to ask some questions. I will always answer emails or direct questions on the comments. So go on, there are no more excuses. Don’t be shy now! « The Handover, Edition 3 Reminder. Could you try posting simple pictures or video with explosions? I have no idea what I”M talking about half the time so I feel right at home here! I read because I work in a company that sells pre-hospital reporting software. =] I’m just an intern, but I think it pays to know who your products are aimed towards. Blogs like yours put a human face (okay, *voice*) to the people at ground zero, using our software. I don’t think your region uses our software, but it’s great to know about what you do, anyway.